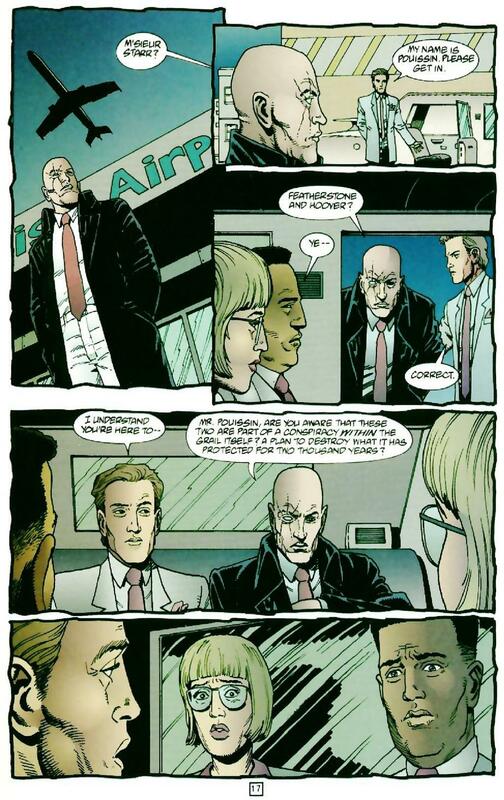 Ah, Herr Starr. Cunning that won't quit, and luck that won't start. Where's *his* crossover with Elmer Fudd? 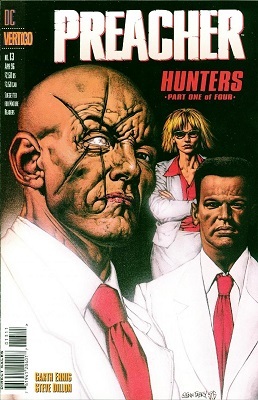 Not going to happen unless Warner Bros dumps a whole lotta money on Garth Ennis and John McCrea's lawn. Like Batman v Superman levels of money. NOW we're at the characters I like reading about! Contrary to what you may have seen in the movies, shooting someone in the head, especially with a handgun that is sufficient to remove the majority of the victims cranium tends to cause some thing called "splatter". This splatter tends to cause blood, bone, brains and the other various things in and on the human head to go out in all directions. So, while Herr Starr's and his associates suits are quite pristine, I am sorry to say that they would like Carrie just before she decided to "unleash" her inner demons. Pulp Fiction has an EXCELLENT example of what I am speaking of. Now while I know that as an artist in a comic book you have to get your art done by certain deadlines, it is of course the little details that matter in such things. Perhaps you could mention to Mr Ennis how everyone in that car is currently suffering hearing damage from Herr Starr firing his weapon in an enclosed space. Again the little details that make things so much better. I prefer this cartoonish approach to violence and physics; it's funnier. Do we really need a few panels of someone complaining that their ears are ringing? you realize Dillon passed away right? Well, if I had, would I have written all that out?